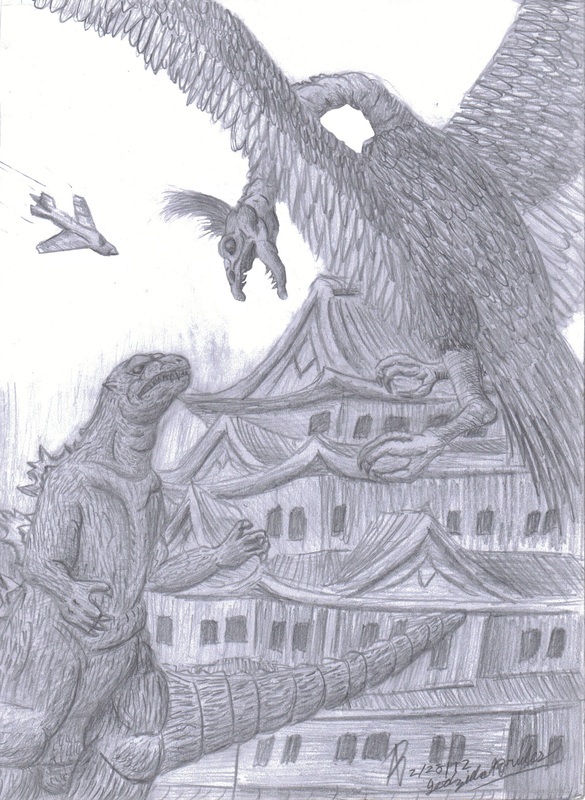 After seeing the B-Movie The Giant Claw, I couldn't help but combine the goofy-looking space bird alongside the King of the Monsters. I definitely like how the texture came out. I also like how I captured the likeness of the Giant Claw.